The Acts and Resolutions Adopted by the General Assembly of Florida, at Its Eleventh Session, Begun and Held at the Capitol, in the City of Tallahassee, on Monday, November 18, 1861. Office of the Floridian & Journal. Tallahassee: Printed by Dyke & Carlisle, 1862. 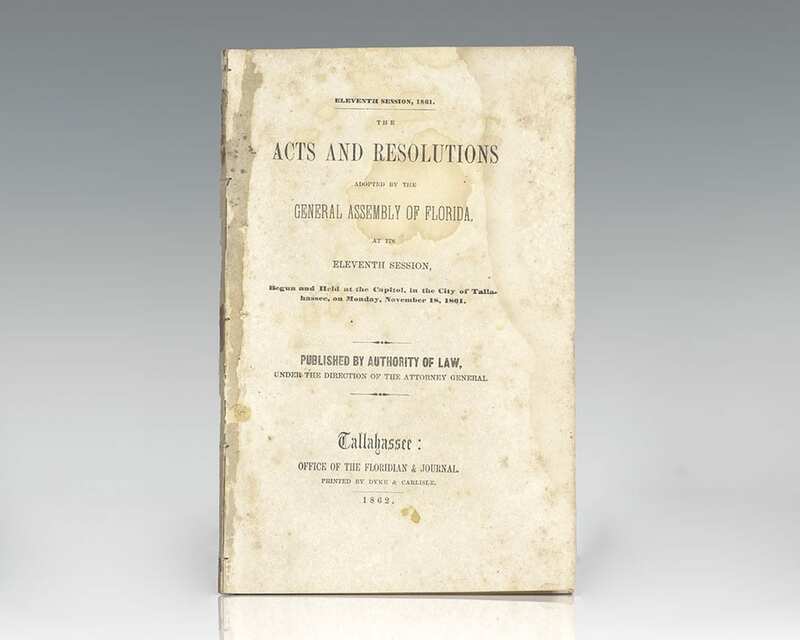 Rare first edition documenting the acts and resolutions passed by the General Assembly of Florida in the first year of the American Civil War. 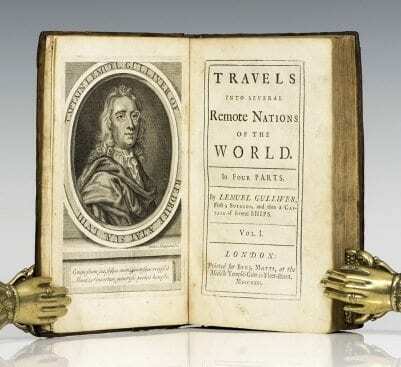 Octavo, disbound. In very good condition. Scarce and desirable.